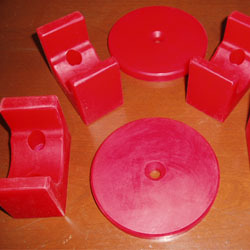 Cast moulded pallet set. Quality moulded products manufactured using processes including compression, injection, cast, dip and spray. These manufacturing options ensure that a solution is available to suit the moulding size, specification, application and quantity required (very small to high volume requirements).